All puppies from this litter have been placed in loving homes of companionship, conformation and obedience. From parents with wonderful, loving temperaments, Amoeluce welcomed the arrival of 13 puppies born on 7 March 2013. 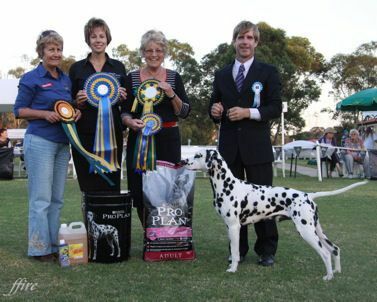 The dam was our lovely smiler Abbey (Ch Trudals Absolutely Fabulous ET) and the sire was National Specialty winner Robbie (Ch Emerlyn Letme Entertainu). We had seven boys and six girls, all black spotted. 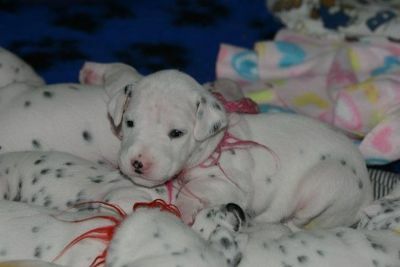 If you would like more information about puppies and future litters, you can email us at [email protected].